Lindsey and Aaron were married exactly a year ago today! 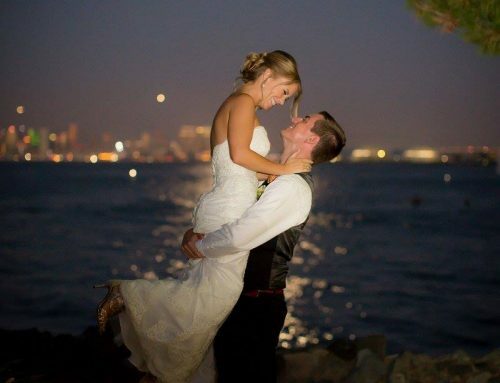 They married on a Thursday, and had a perfect Scripps Seaside Forum Wedding. And truly, it was love at first site for me. I left the consultation thinking, “These guys HAVE to hire me!” I simply adore the way they interact, and it was a pleasure from end to end. Lindsey and Aaron opted to have their honeymoon suite down the street at the Estancia, La Jolla. Bar none, my favorite hotel in all of San Diego. They had a simple ketubah signing atop the Scripps Seaside Forum. I just love to cut out details of their ketubah. How great is Lindsey’s hair? I was actually helping a bride brainstorm hairstyles, and found Lindsey’s images all over Pinterest. They had their first look at the small building just adjacent to the Forum. It is a sweet and simple garden, but a nice private area. Back behind the Forum lies a number of buildings in various styles. You literally don’t have to leave the property and can have a ton of looks! It makes me heart melt to see this picture. They truly love each other! I just love the way Aaron dotes on Lindsey. Aaron and Lindsey went to the same high school, and reconnected several years later. Concidentally, they also went to the same high school as my husband Brett. Brett and Lindsey’s sister knew each other way back when. Also, the photographer, Aaron Feldman–owner at True Photography also went to the same high school, along with the florist Ashley Elizabeth. The stationer, Sweet Paper, also has UTC roots. Talk about keeping it all in the family! It really was a University City High School wedding! How great is this color palette? The couple have traveled all over the world together. The groom travels internationally for business quite a bit, and Lindsey has a flexible job where she gets to travel, too. Thus, the slight travel theme. 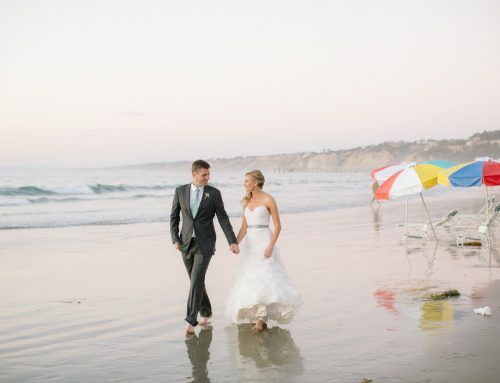 Both the Bride and the Groom spent time designed their Scripps Seaside Forum wedding. The color palette evolved and changed quite a bit, but Ashley Elizabeth’s team really knocked it out of the park. The cheerful colors and texture really echoed the Bride and Groom’s style. The Bridal Party was composed of Lindsey and Aaron’s siblings–a great way to keep things simple, and honor family. Lindsey and Aaron didn’t decide on the guest book till the last minute. Ashley provided a vintage suitcase, and I found vintage La Jolla note cards. I collected them at the end of the evening, and mailed them to the couple in batches after the wedding. Guests also pinned where they traveled from on a vintage map. How great is this vintage furniture? The perfect blend of modern and vintage. One of Aaron’s requests from day one was a rockin’ band. Enter The Heroes! The dance floor stayed packed all night long. There were tons of compliments on this bar presentation. Lindsey and Aaron, you are simply the best! I hope you are enjoying your first anniversary! Mazel Tov! View the entire feature onhttps://www.sdweddingplanner.com/wp-admin/post.php?post=8150&action=edit&message=10#wpseo_general The Bride Suite by clicking here.